Looking for a fun arts and crafts for kids? Make egg shakers! 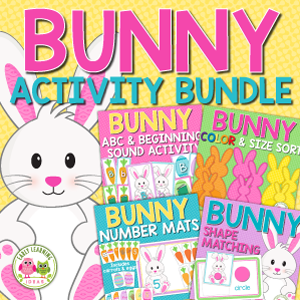 Ideas to incorporate STEM, math, language, and movement are included in the directions. This fun project is perfect for Easter, spring, or any time of year. 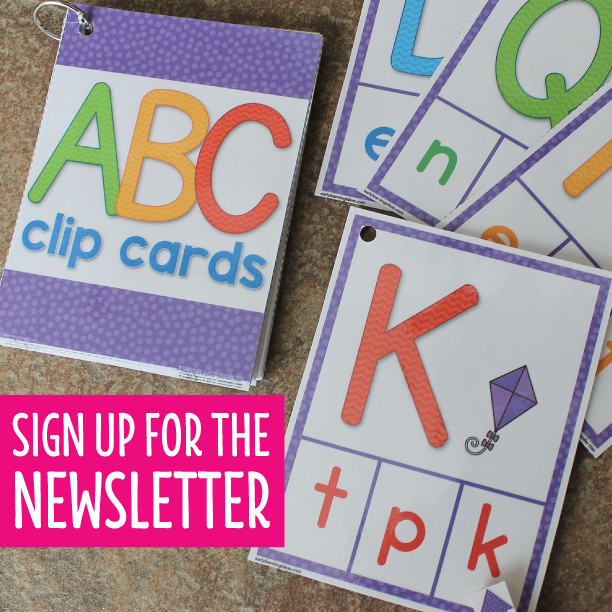 Craft projects are even more fun when they can be used for learning. Here are the directions to make egg shakers with your kids. I have also included many ideas for their use. Begin by placing a spoonful of dried rice, beans, or pebbles inside a plastic egg. I used green colored rice in the picture above…because that is what I happened to have on hand. You certainly don’t need colored rice. Close the egg and tape it shut with colored masking tape. 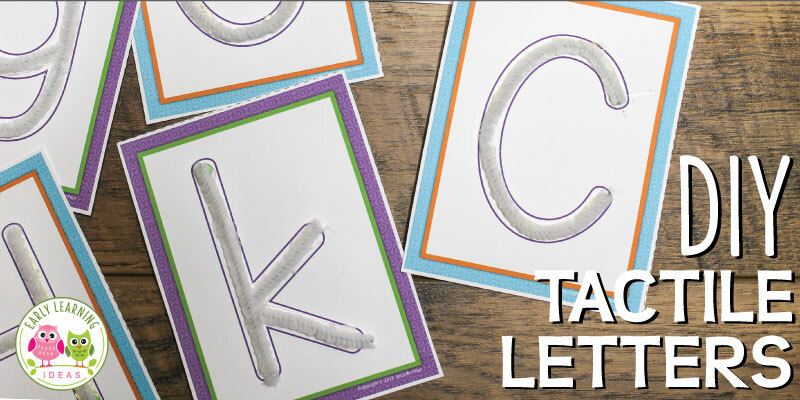 Young kids will most likely need help with this task. After the egg is sealed…the fun part begins. 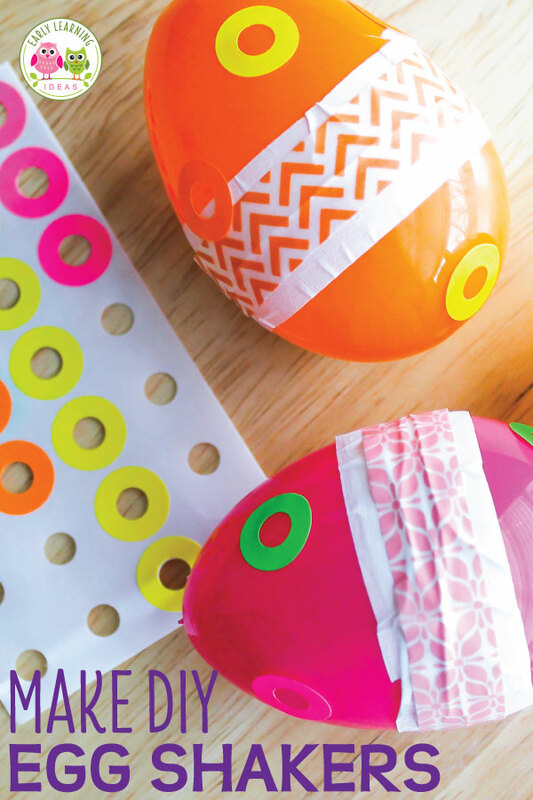 Kids can add strips of patterned washi tape to the eggs. Finally, kids can decorate their creations with any kind of stickers. 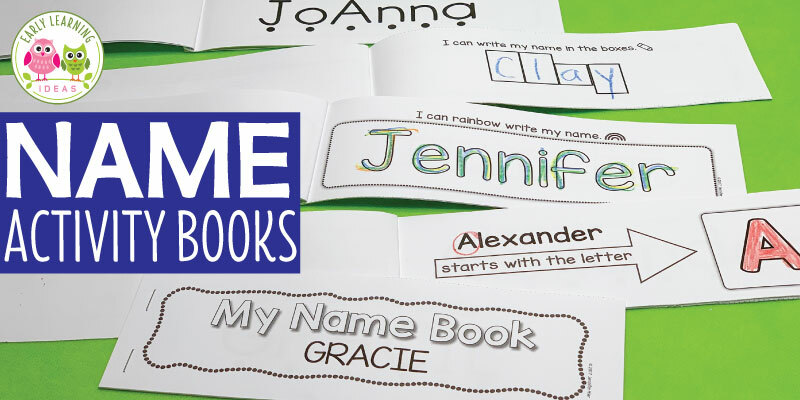 Use thematic stickers, dot stickers, or colored reinforcements….whatever you have on hand. You can use your shaky egg creations to learn about science too. You can find a large variety of eggs in stores around Easter time. Experiment with many different sizes and styles of eggs. Let kids experiment with different fillers too. Let them mix materials to come up with the “perfect” sound. You can even offer some soft materials like cotton balls or foam pieces to add to the eggs. Ask kids to make predictions about how different eggs and different materials will change the sound of their shaky egg. Now that the egg shakers are complete, you can use them in soooo many ways. Here are just a few ideas. Music and Movement – Use the eggs as musical instruments. Dance and shake. Shake and dance. Jump and shake. Shake and jump. Any song will work, but Laurie Berkner’s I Know a Chicken is a perfect song. 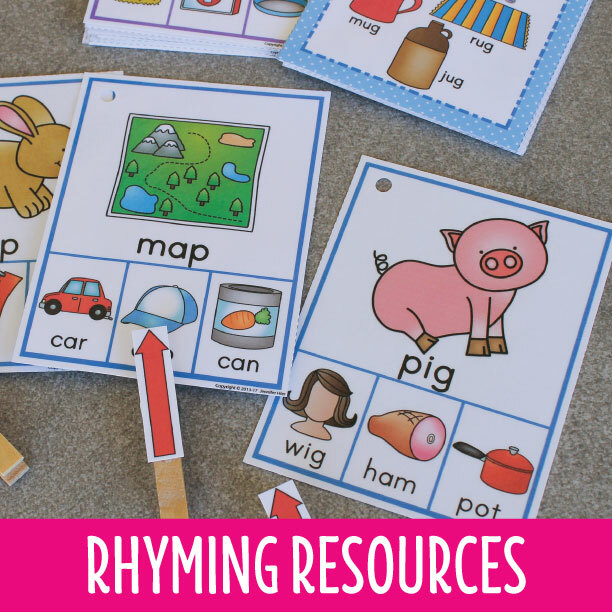 Vocabulary – Help kids understand words like fast, slow, rhythm. Counting – Use the shaky eggs to emphasize counting. 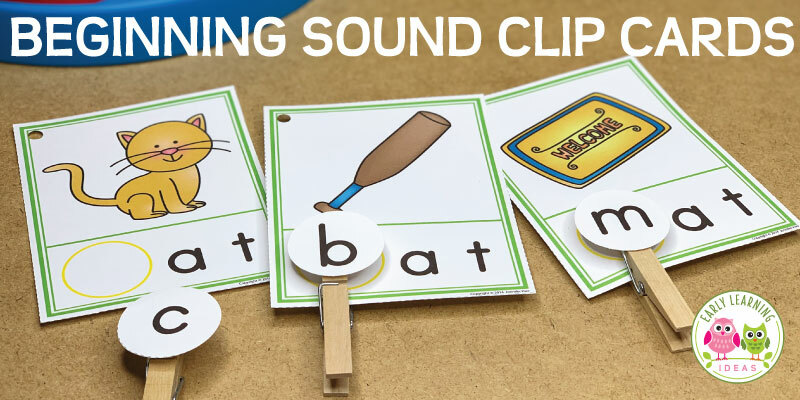 Breaking Words into Syllables – Help kids hear the syllables in words by shaking the egg for each syllable in a word. For example, the word goldfish is a two-shake word and the word hamburger is a three-shake word. I hope that you enjoy making and using this project with your kids. If so, I think that you may also enjoy some of the following hands-on learning resources in my store. Click on the images below to check them out.